Baltimore City is a county located in the U.S. state of Maryland. It's county seat is Baltimore City. 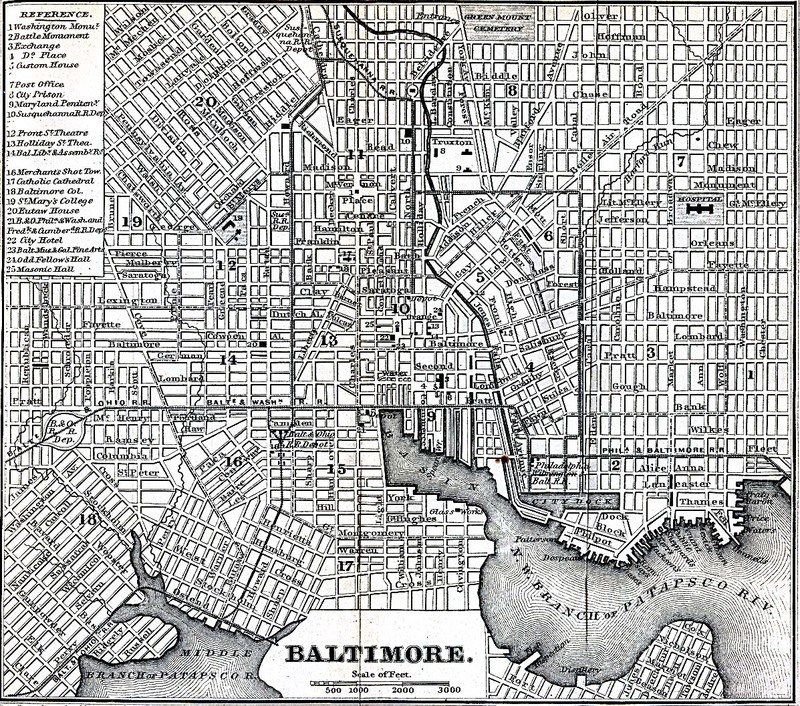 The county was created in 1851 and was founded in 1729 Detached in 1851 from Baltimore County. The name of the county comes from Caecilius Calvert, 2nd Baron Baltimore, first proprietor of the Maryland colony. The links directory provides suggestions for a variety of websites to assist in your family history and genealogy research. Bill L Wallace at Baltimore, Md. Biography of John Maul, Sr. Biography of John W. Sanderson, Jr. Biography of Bishop James A. Handy, D.D. Biography of Joseph Brewer Blades, M.D. Biography of Joseph H. Todd, M.D. Biography of L. Odenbaugh, M.D. Biography of Clyde J. Cranston, M.D. Biography of David M. Wilson, D.D.S. Biography of Dennis B. Dorsey, M.D. Biography of Dr. C. G. Bush, D.D.S. The autobiography of Stephen Collins, M.D. Biography of Emory Stansbury, M.D. Biography of Rev. F. A. Riggan, A.M. Biography of Frank O. Hetrick, D.D.S. Biography of Robert A. Hewitt, Jr. Biography of George G. Fredricks, M.D., D.D.S. Biography of J. D. Arnold, M.D. Biography of J. G. Turner, M.D. Biography of Jacob M. Jacobs, Jr.